Each year, Domestic Violence Legal Clinic (DVLC) helps hundreds of domestic violence survivors break the cycle of domestic violence, helping survivors escape the isolation of abuse and regain control of their lives. Edith is one of the many survivors who show up at DVLC’s office every day seeking to keep themselves and their children safe. Imagine you are excited about casting your ballot on Election Day and are turned away simply because you have a disability. Or imagine having to cast your ballot where other voters can see exactly how you vote. Cynthia, a voter with a disability, was unable to use the accessible electronic voting machine at her polling place because the election judges did not know how to operate it. She was forced to cast her ballot sitting at a table in plain view of other voters with absolutely no privacy. Her only other option was to not vote at all. Cynthia’s experience illustrates the type of barriers people with disabilities routinely face when they seek to vote but are denied access to the election process. 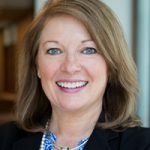 Rebecca Eisner, Partner-in-Charge of Mayer Brown’s Chicago office, will lead the CBF’s 12th Annual Investing in Justice Campaign. 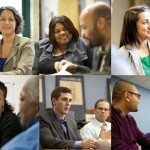 The Campaign is the CBF’s annual initiative that rallies Chicago’s entire legal community around our common cause of ensuring that everyone has access to necessary legal help, not just people who can afford it. This year’s Campaign will kick off on March 5th and run throughout the month. 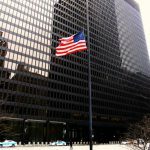 Thousands of individual lawyers and legal professionals at more than 150 Chicago-area law firms, corporate legal departments, companies, and other-law related organizations again will be part of the Campaign. Ajay Sundar, an associate at Skadden Arps, wanted to put his legal skills to help others, and he volunteered to do just that through the CVLS Guardian ad Litem for Minors Program. As Ajay recently recounted, CVLS quickly assigned him a pro bono case involving an eight-year-old named Ley’gacy, who was living with her grandmother. Her grandmother had guardianship because Ley’gacy’s mother was unable to care for her, but her mother who had a history of mental illness and instability–was now seeking to assert her parental rights. Then, one day, Ley’gacy disappeared from her grandmother’s home. She had been kidnapped by her mother. 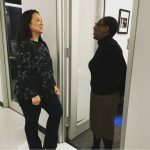 The Bankruptcy Court Self Help Assistance Desk, run by LAF, does just what you would expect it to do helps clients file for bankruptcy as they seek relief from suffocating piles of debt. But as with bankruptcy itself, the full reality is much more complicated and the help much more far-reaching than that. The Desk aids unrepresented filers at every point in the bankruptcy process, which can be daunting and complex. In Room 622 of the Dirksen Building, pro bono attorneys and lawyers from LAF answer general questions about bankruptcy, help visitors decide if bankruptcy is their best option, and help prepare forms for people without lawyers in the U.S. Bankruptcy Court for the Northern District of Illinois. The Desk eases the burden on the court by helping patrons evaluate their options before unnecessarily filing for bankruptcy. 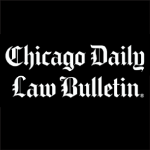 Each year, about 44,000 bankruptcy cases are filed in the Northern District of Illinois, the most in the country, so every bit of paperwork reduction helps the court run more efficiently. Launched in 2007 as a partnership with the U.S. Bankruptcy Court, LAF and the CBF, the Desk is one of the many projects you make possible through the Investing in Justice Campaign. The Chicago Bar Foundation’s Investing in Justice Campaign collected more than $1.5 million from donors and $600,000 in grants this year. The donations will be used for local pro bono and legal aid organizations. It’s a foundation record, following a pattern since the campaign first launched 10 years ago. Access Living was founded in 1980 as one of the nation’s first ten Centers for Independent Living (CILs). The organization’s goal is simple: to ensure that people with disabilities have the same opportunities as those without disabilities to conduct lives of dignity and independence. With departments specializing in independent living skills, advocacy, and legal services, Access Living provides a unique combination of assistance in championing the rights and empowerment of people with disabilities. Access Living is the only CIL that has a Legal Services Program, and it is this impactful program that you support through the Investing in Justice Campaign.